Leota W. Loop (1893-1961) o/b titled on verso mums for Mandy 11.3.51 9 x 8″ p.o.r. Born in Fountain City, Indiana, Leota Loop spent her career as an active artist in Brown County, Indiana. She began studying art at age 10 from Olive Rush at the Fairmont Academy. She also studied with William Forsyth, Theodore Steele, Will Vawter and Randolph Coates–all associated with the Brown County art colony. 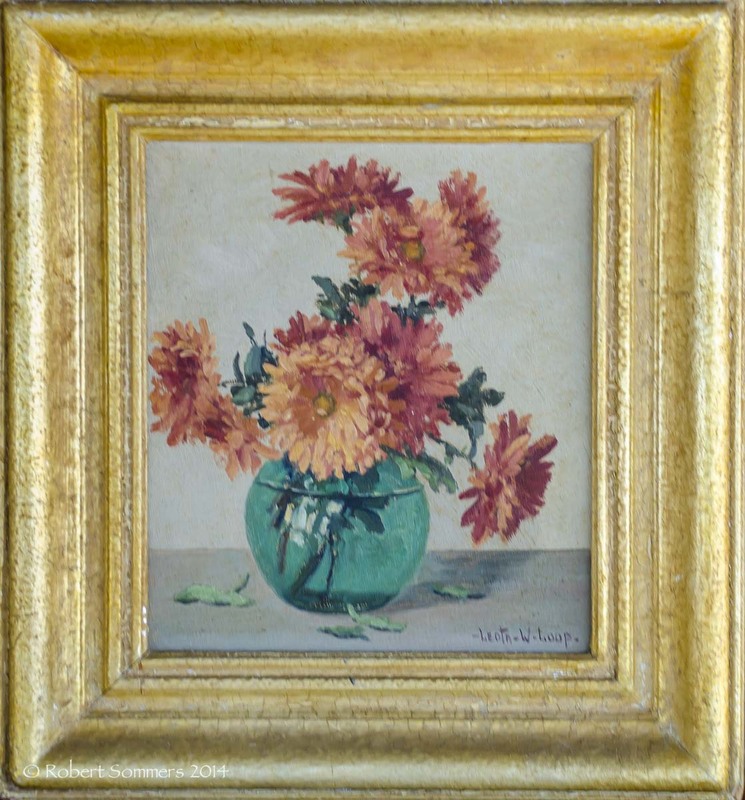 In 1937, Indiana governor Townsend purchased her still life painting, “Iris and Peonies,” for the Governor’s Mansion. She taught art classes in Nashville and was for many years the art chairman of Tri Kappa Sorority. She organized the Junior Art Clubs of the Indiana Federation of Art Clubs and exhibited state wide. Reportedly her first paint brushes were chicken feathers. She used ink for paint and grocer’s wrapping paper for ground.